Join Tanya Carroll Richardson, angel intuitive and author of Angel Insights, as she shows how to invite angels to play a larger role in your life. Discover how to communicate with angels and receive their guidance for healing old wounds, finding your soul's calling, creating healthier relationships, and much more. Archangels and ascended masters have an important role to play for all of us. By improving your intuition and learning how to discern angelic guidance, you will be able to move past emotional blocks and explore the true possibilities of manifestation. 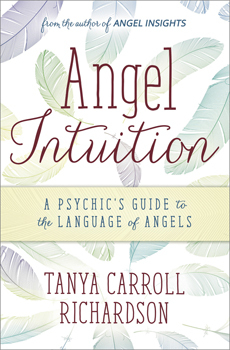 Angel Intuition also shares inspiring examples and stories of how angels can help you realize your destiny.